The angelic hierarchy is greatly confused. There are species, races, and ranks, as well as functions for the angels. Many have mixed them up, got them in the wrong order, and misunderstood in the difference between the species with the ranks. It is a mess. I am here to clarify a lot of these misconceptions. Let’s first begin with the angelic order. The Universe has all sorts of portals, wormholes, and gateways, because there are many places that a soul can come from. The Universe itself has it’s own dimensions, and then the stars and planets have their own as well. Everything with its own vibrational pattern. The angels rule or fill these places in the realms. Their realms end in the 6th dimension no matter where in the Universe they happen to be. In the Universe, or planet, their kingdom ends in 6D. In the 5th dimension are elementals, or fairies, that they say are small beings. In truth, elementals and fairies are just smaller messengers who care for the atmosphere, and the elements in it. They also carry out inspiration and virtues into the realms below them. To me they are angels too. Just of a lesser vibration. Some angels have chosen to leave their high ranks in the 6th dimension and up, to come t lower ones. In this, they had to lessen their energy in their spiritual body to be able to fit into that realm, so to speak. They will still have their message, but it will be less of it, due to the lessened amount of light they had to lose, in order to go downward. This is called, the “Path of Descension”. Any soul can come from anywhere in the Universe, even angels. Angels can even send their light to be born as a soul in a human body. Like any other soul really. However, they will not carry the same power, and only a little version of their message. Some are born with all of their memory and powers still within, and still holding onto their high vibration. But there will not be many who can sustain life in the 3D world, because the energy here is heavier, and more thick. When angels do this, it is called an “Incarnated Angel”. I am an Incarnated Angel, which how I have most of my knowledge. You could be one too? Many distinctive characteristics can lead you to the assumption. However, a soul reading to see the pattern of your soul to verify, is needed to confirm this. As above, is so below, and this world’s government is modeled after the hierarchy above, down here below. On Earth, we have the one King, who rules everything. This is like the angelic principality, who rules over their kingdoms, and there are many spread out in the Universe, not just on Earth. Then, to rule different areas in those kingdoms, there are Presidents, leaders. These would be likened to the Dominions. They care for different, larger areas of the kingdom broken up.Then there is the Congress, these are likened to the Virtues Under this, there is a Senate to act as higher judges. These are the Archons. Then there is a Congress, or Parliament, they act as those who enforce the laws. The Angelic Powers do the same. Governors on Earth, are much like the Thrones in the angelic hierarchy, making sure that order is established by the powers or better yet, laws of the realms within a reality. The Mayors and Judges, act like the virtues, instilling things are done by those laws, the right things being applied from that higher perspective in that realm. The military and police are likened to the heavenly host, protectors, and defenders. Guardians, and watchers. 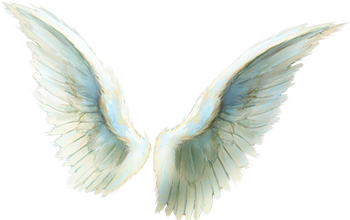 Many Angel spiritualists, have the Archangels as the last rank. No. This is wrong. Archangels are the “Commanders”. They can be a commander in an realm that needs a leader. So they are not last, nor first. They can be placed anywhere in the hierarchy. They come in all vibrations, working in the realm that they have a legion to look after. They are considered to be the most important of ranks because they are leaders, and they rule. However, they have someone to answer to, the angels who really in actuality, are more like deities. A different commander for whatever force that legion is. They have two energy extensions that come out when they are traveling, behind them..Wings are not limited to the species but to the job or duty.. Any species can have any amount of wings depending on their job. With an Archangel leading the other souls in the legion, they may command, but they still have an authority that they have to listen to. The Prince is the Principality of whatever domain or area, that the legion is needed for. The Archangel will carry out those commands for that Prince. This happens in any realm, like armies and kingdoms of different sizes, and forces. The archangels that the Principality will carry out the orders to the Dominion. The Dominions will then pass it down to their Archangel to give to the powers, and then so on.. It goes down the rank. 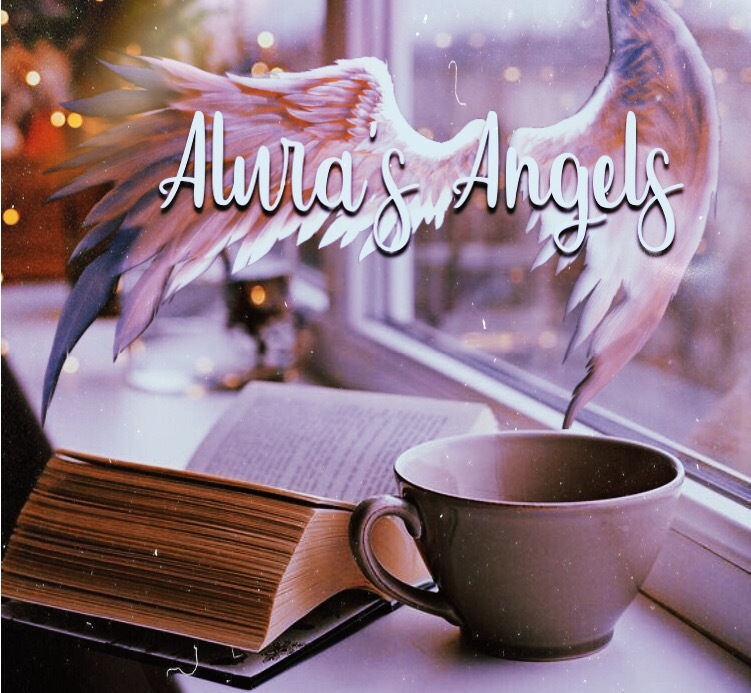 The Principality has the ultimate say over the realm, but many things are considered as the angels expanding down the ranks, see things from different perspectives, especially those closest to the realm of the living. The Prayers work the same way. They go up the hierarchy . If one has an issue, the prayer reaches the guardians. If it is in their power, they will help, unless it has something to do with a change in the destiny, contract with another soul, blessings given, and wisdom opened. For serious issues, the Guardian will take to the Virtues to weigh it out. They pass it on to the Thrones. They see what area in life it involves, and then pass it on to those above them in their legion who rule over the principality. The thrones will work it out on a karmic level. Then they give their insight to the Powers, who have the power to act out the judgement, good or bad. The dominions will have one last meeting to tell the Principality what was done in their realm. Then they give the okay back to the Dominions and they pass it back down for the guardian to take action in the realm closest to you. This is why it is difficult for anyone to say that they channel angels. Without the authority on an Earthly level, there is no communication with them. They only intercede on your account. The rest is up to the spiritual guides, some even being other angels depending on who you are, and what works for your energy. Archangels work in between all of those, like a Prince, or Commander who tells the next in charge that they have raised under them. They take the orders to the next authorities for them.. Archangels then would not be the last on the rank…They would be under any of those in authority if the Principality made them so.. Some could be first in command, depending on the realm. Like another deity under the main one, who does the work for them. Fairies are like mini virtues. They master the elements but also act out giving motivation, inspiration, carry out thoughts, and messages to destinations in the air ways.They deliver good luck and magic to the person. This is done under the command of the guardian. Guardians also work in elements sometimes. They may have to guard or watch over the elements that keep the environment alive for the inhabitants. Now that you have an understanding of what the hierarchy is like, you can now goon to understand the species. Any one of the species can work and graduate to any level and position. That position will determine how many wings are needed. There are seraphim. These are feline or serpent type of looking spirits who work in the Dominions usually. They can possess from 2 to 6 wings but are always feline and serpent in appearance. This means they will be made of energy that vortexes out like a serpent but it’s face will look lion like with a pucker to the mouth. But has energy coming from it that appears like a phoenix and many wildly flaming feathers coming out of its long body..
Cherubim have quite a few ways that they appear. Mostly, they will take on the form of a sphere or ball of light with four vortexing, energy extensions coming out of them. They will work as powers or thrones mainly. Archangels can even had been Cherubim. Seraphims as well. If created as such. Cherubim look like the photo example below. Archangel Chamuel is a Cherubim. 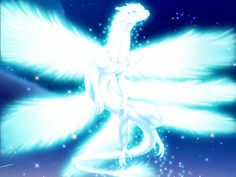 Ophanim are angels who look more like a Phoenix… They are firey bird like conscious beings whom they even call Phoenix sometimes in angelology. Then we have the last of the angel species named, the Chalkydri. Chalkydri and Ophanim, act as the virtues, some as powers. Any of the angels though, can appear as a human form or any form that they wish really.. They own the beautiful ideas of creation, and can interact in any way they need. The armies, will have an Archangel, in charges of the princes in the elements. The fairies will sometimes work under them, if it is nothing too big. Any angel species can be promoted to any rank. There are so many domains in the heavens, worlds within realms, and so on, that there is much to look after. Each will have a separate angelic hierarchy of its own to establish order. To create and to teach too. Some of the messengers will do this, working with humans. If humans are just a regular soul, interacting with an angelic messenger, this aids the consciousness as the higher spirit is led. Some were born with the right DNA to interact, angels mixing the programming with theirs to make messengers in human form. These were called “Nephilim”. Many consider them to be evil. And most were. But there are good ones too. Many trying to fix a society that had fallen. Yet another article. However, just because some of a race make a mistake, does not make the entire race guilty. But for now, the sons of the angelic human hybrids, the nephilim, are would genetically pass down their powers to their sons and daughters, who would not know how to use this power, on their own. They would let the ego change them to use it for their own selfish gain. The Malakim are a race of angels not widely known, that live in blends of both darkness and light. They keep order in duality for the reality here.This is the angelic hierarchy and species. Usually, an angelic soul looking for a physical body to incarnate in, will look for its own genetic line of the nephilim to incarnate into, to have power, and the wisdom of their forefathers. I am a nephilim, my mother having come from the Tuatha De Danan. Her ancestral family migrated as the sons of Seth, to Ireland and took over ruling the land. They passed the angelic line down, as my father’s Lyran blood mixed and transmuted this energy into the Holy Priest line. This gave my angelic soul a lot of the physical angelic traits that I needed to incarnate here awake with wisdom and psychic ability. Angels can incarnate in any body though. Angels looking to learn from life, and experience it only, will not use the angelic bloodline. They do not want the truth and wisdom along with powers to distract them spiritually from their material world lesson. Some hate this, but it is true. Angels have misunderstood for very long. The ranks, offspring and species, were so mixed together. Bias, stereotyical falsehoods placed in so many places on the angels. They do not even respect the Principalities as their Lord or Creators. They exclude them , especially in religion as being messengers only, and replace it with one male Creator. Angels are creators and rulers too, under the ultimate creator. This is why he said in Genesis, “We have made them, in our image we have made them”. When speaking of Adam and Eve’s creation.. Its true, angels were given planets , stars, galaxies, and entire realms as their territory to rule and create in. Angels are more powerful than thought, and should be given more respect and acknowledgement.